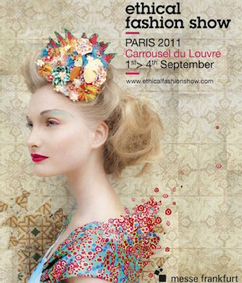 From the 1st to the 4th of September 2011, the Carrousel du Louvre will host ethical labels, conferences and shows. Ethical Fashion Show 2011 represents more than 100 brands - European, Asian, African and South-American - involved in an ethical, fair and durable design, which minimises the environmental impact and propels local savoir-faire. 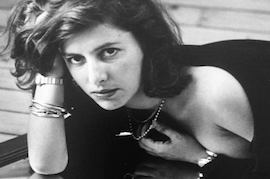 Gabriella Cortese, founder of the Antik Batik brand, is this September 2011 edition's sponsor. - "Luxe et Savoir-faire en France" with Stéphanie Bui, founder of www.daily couture.com. - "L’innovation avec Lenzing", Austrian leader in eco-friendly synthetic fibres and fabrics. - Recycling, a recurring theme for EFS. The "Ethical Fashion Show 2011" prize will be awarded to the most ethical designer. Movana Shen, Chinese artist who knits pages of books after having read them, will be on display at the tradeshow. Friday 2nd and Saturday 3rd September: Open to the general public from 10am until 6pm. Entry is 7 Euros.